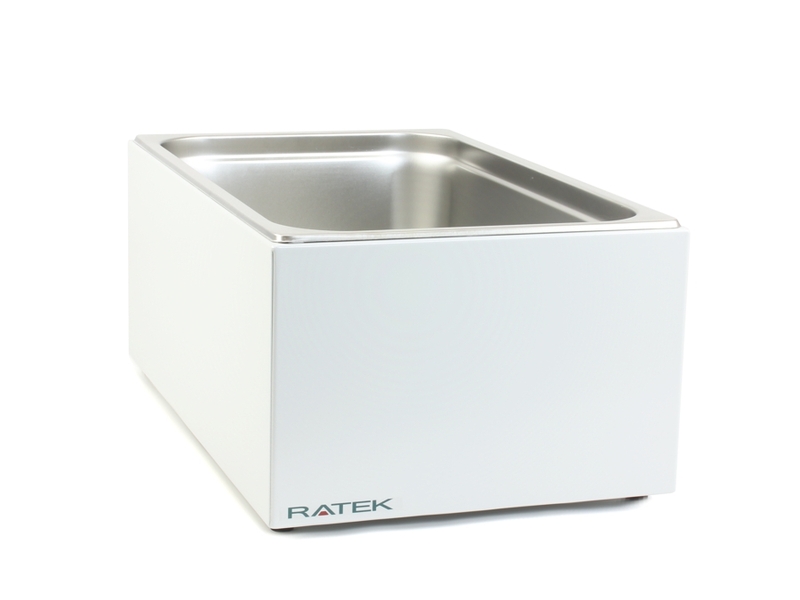 Welcome to the online home of Ratek Instruments, leading manufacturers of laboratory equipment for use in a range of modern sciences. 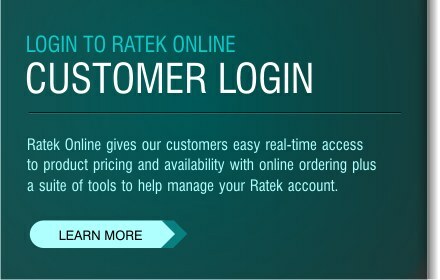 If you are a registered Ratek reseller, please login using the Customer Login above. 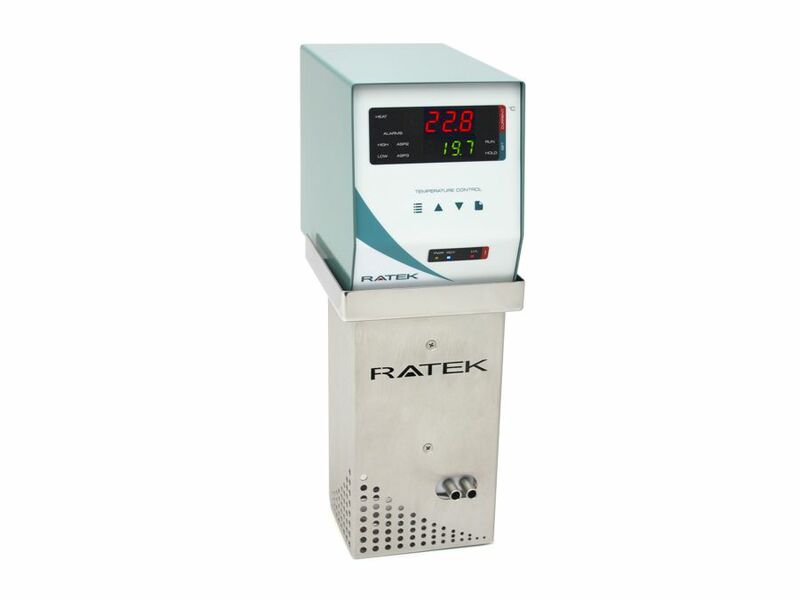 Ratek equipment is used all around the world in major universities, research laboratories and product development organizations. Our committment to quality, backed by superior service has made us an established leader in the industry. Since 1979, Ratek has specialised in providing the widest range of temperature controlled waterbath systems in Australia. We offer standard stocked ranges in circulated, static and shaking bath setups as well as the ability to customise or even custom-make systems to suit your application perfectly. Waterbaths are available in virtually any shape and size, circulated or static, with options of chemical resistant plastic or powder coated stainless steel exteriors, drainage/filling ports, solenoid valves, raised platforms and a variety of covers. Add to this our large THx000 range of immersion heater circulators, and the configuration options are very large indeed. 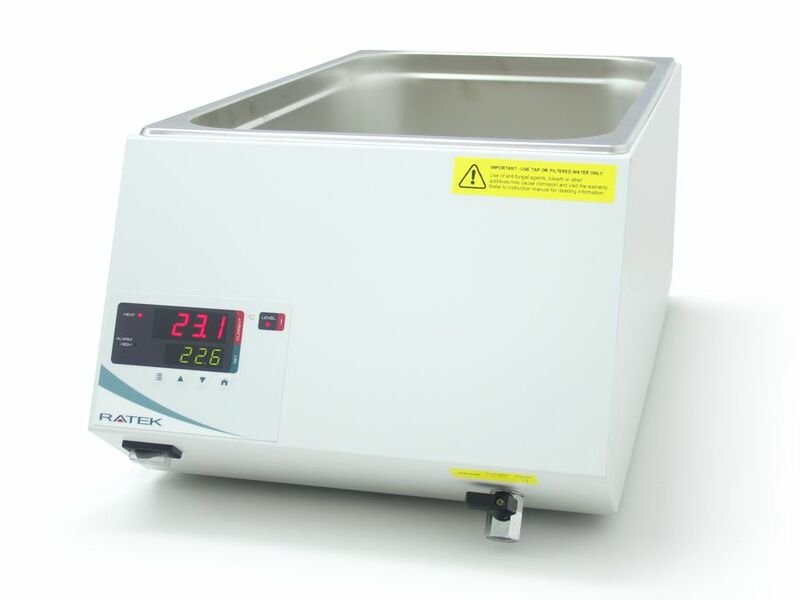 Call us today for an instant quote on a waterbath system to suit your needs. Ratek are proud to realease issue 8 of the Ratek Product Guide which includes our full range with specs and accessories. Get yours here !. Ratek are proud to announce the realease of the 2014 model OM11 Orbital Shaking Incubator, sporting new looks and a brighter cabinet interior for better visibility. Click for more info. Ratek are proud to announce the realease of a fantastic range of new immersion heater circulators. With a huge range of new features, the THx000 series represents the pinnacle of 30 years of product evolution. View the range here.